The debut gameplay trailer for SNIPER ELITE 4 is here and its ending has a twist in the tail – a teaser for TARGET FÜHRER, an extra campaign mission FREE to players who pre-order on any format! 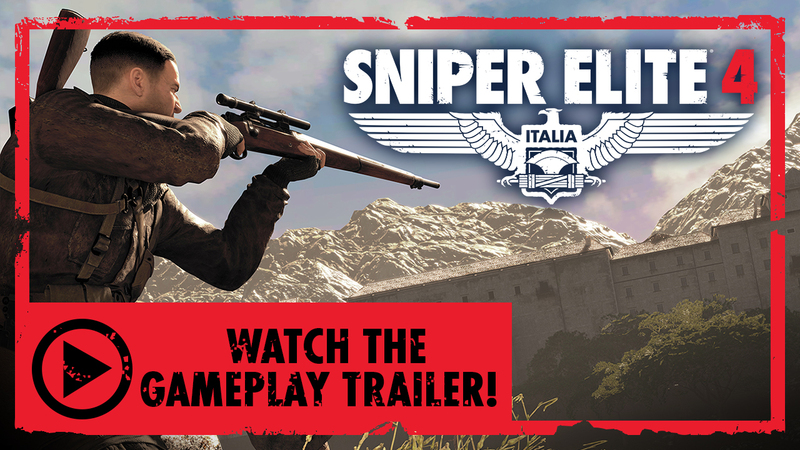 With a brutal mix of stealth and bullet-pumping action set against gorgeous Italian backdrops, the first SNIPER ELITE 4 gameplay trailer showcases some of the many additions and improvements coming to the most anticipated WW2 shooter of this gaming generation. 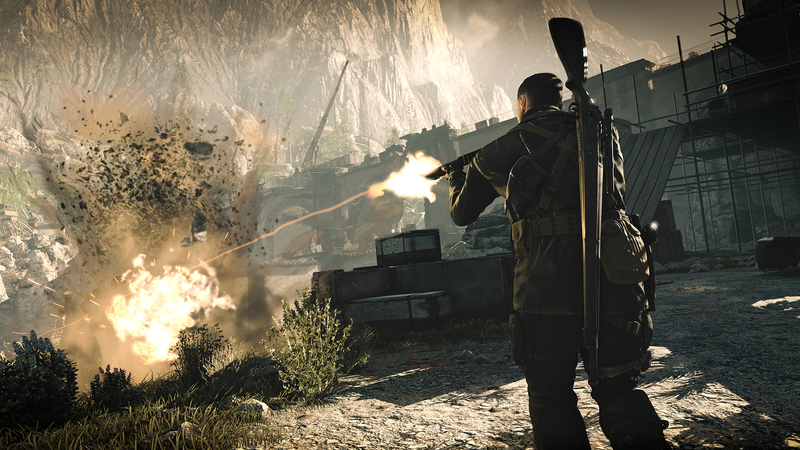 With many millions of views on YouTube and countless gameplay hours logged, the series’ renowned Hitler-assassinating bonus missions have been a fan-pleasing tradition since Sniper Elite V2. In TARGET FÜHRER, players will once again set their sights on history’s most notorious tyrant, in a forgotten corner of the Mediterranean where a secret Nazi U-boat facility threatens Allied shipping. When agent Karl Fairburne attempts to assassinate the base’s commander, he finds his target already dead, executed in person by a shadowy visitor. Karl’s mission has changed: TARGET FÜHRER! Players must destroy the imposing U-boat base and take down Hitler in as many ways as they can in this replayable campaign mission for 1-2 players. ALL pre-orders will receive the TARGET FÜHRER campaign mission and CAMO RIFLES SKIN PACK which includes detailed camouflaged sleeves for the game’s seven iconic WW2 rifles. 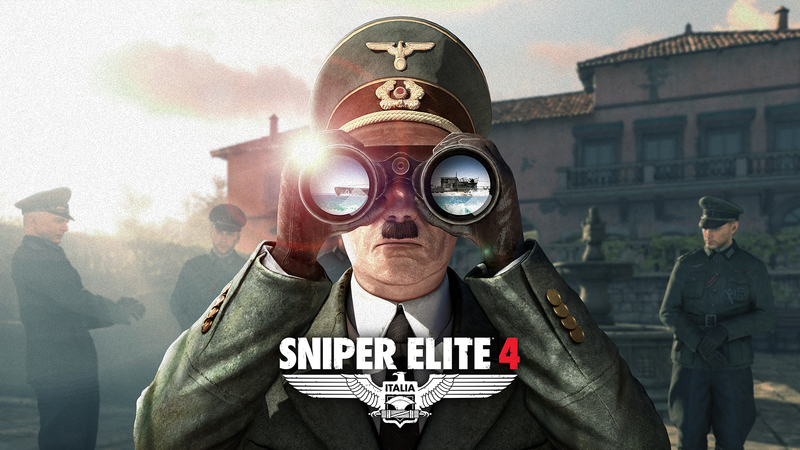 This value-packed digital bundle includes SNIPER ELITE 4, TARGET FÜHRER, the CAMO RIFLES SKIN PACK and ALL of the game’s DLC content. *Pre-order availability may vary depending on region, platform and format. This entry was posted in Featured Posts and tagged 505, hitler, rebellion developments, sniper elite, stealth, ww2, WWII. Bookmark the permalink. Post a comment or leave a trackback: Trackback URL.